IS IT WRONG FOR A PARENT TO JUST START CLAPPING WHEN THEIR K - ProudMummy.com the Web's Community for Mums. 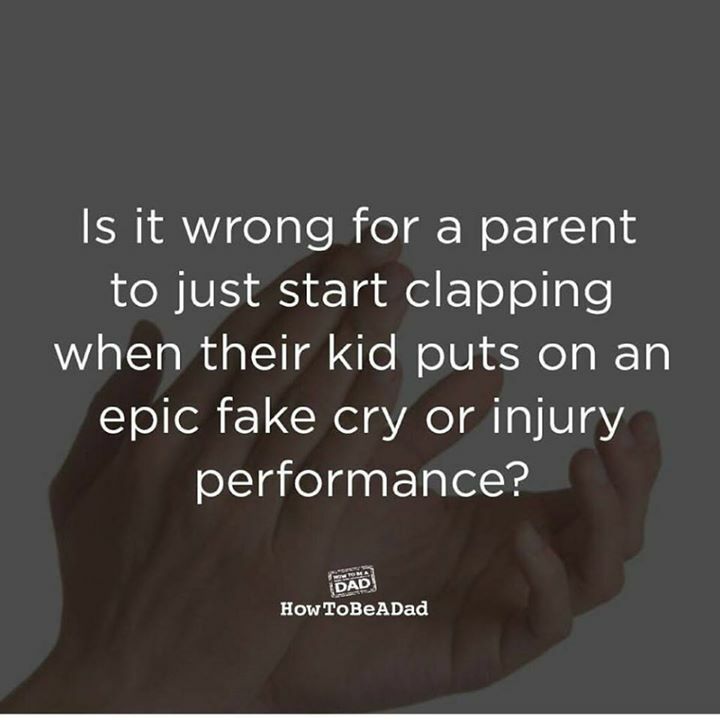 IS IT WRONG FOR A PARENT TO JUST START CLAPPING WHEN THEIR KID PUTS ON AN EPIC FAKE CRY OR INJURY PERFORMANCE? It depends if you want your child to reflect the same behaviour with other children. The only problem is that a child's brain isn't as emotionally devolped so they may not recognise the seriousness of another child's feeling. Melissa Clough... This will totally be me. You too?